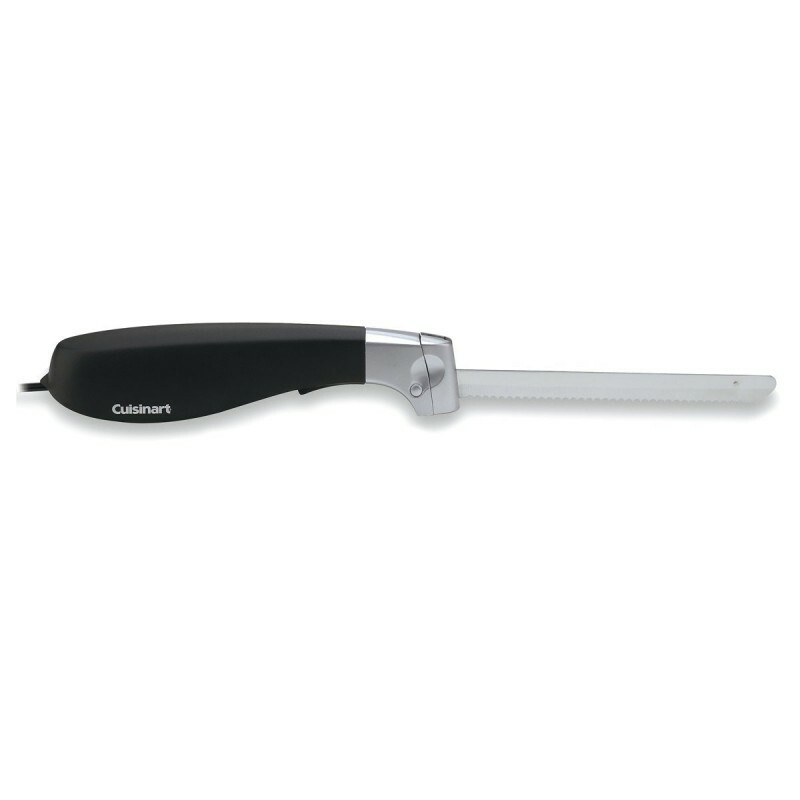 This is one electric carving knife that you can use to save time when you have a lot of meat to work on. It comes with two blades that you can use interchangeably so that you do not have to wash and reuse a single blade for different uses. Operating it is also very easy thanks to its buttons that make this possible. When it comes to storage, you have a wooden block that you can store the blades with a section for cord storage. 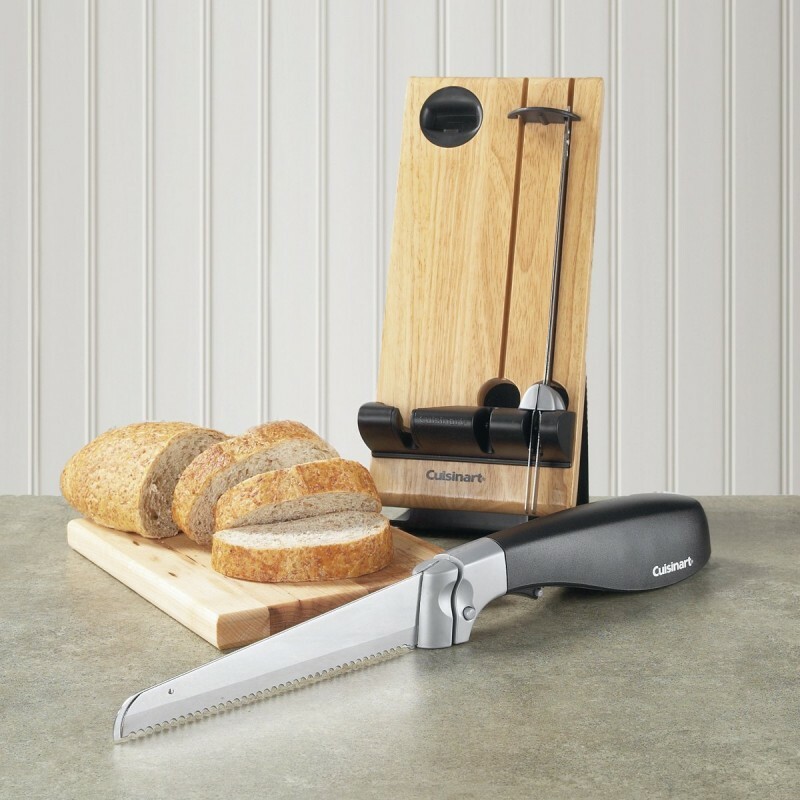 Even though it works perfectly, its blades are serrated which makes it hard to sharpen them. 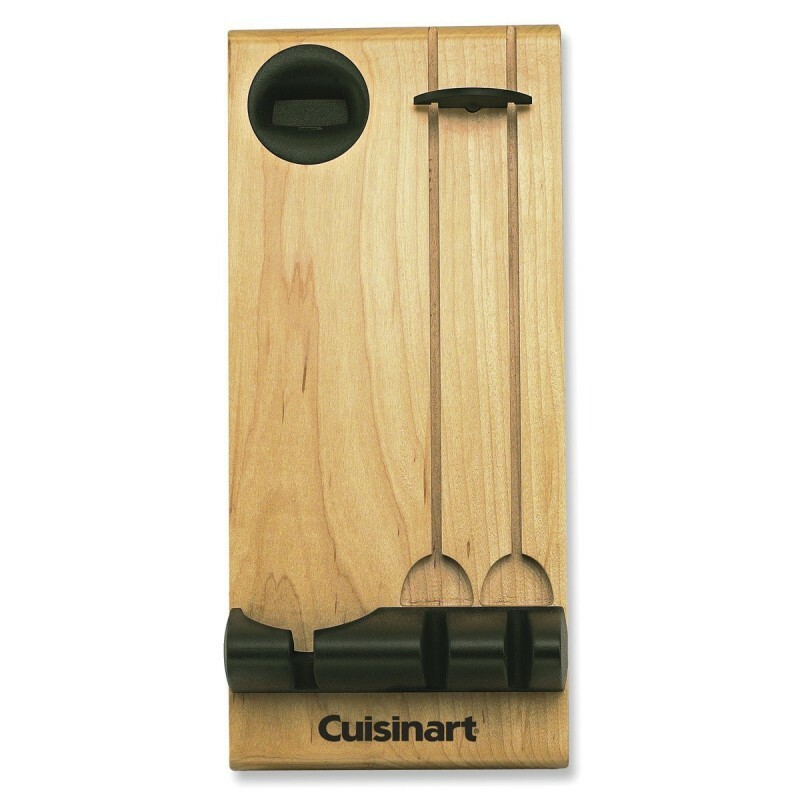 It is easy to store thanks to its wooden storage block and well-designed cord storage with safety locks for the knives. You will not get any wrist strain after using it for a long time since it is made of any easy to hold handle. 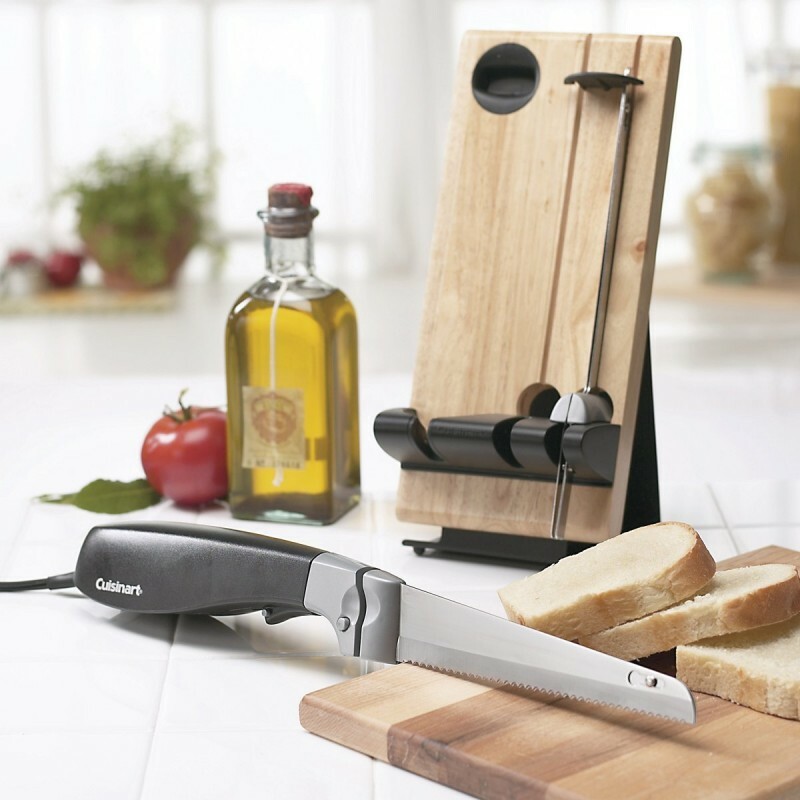 It saves you time as it comes with two full-size blades that you can use interchangeably for different functions. You will find it very easy to operate since it comes with simple buttons for different functions. 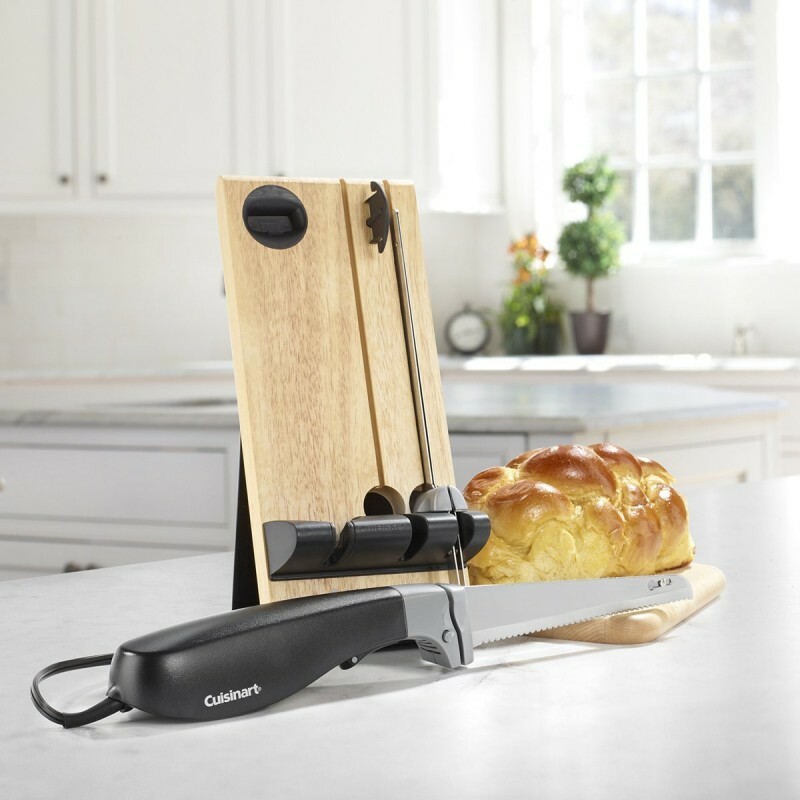 Powerful motor that makes cutting through chunks of meat quite effortless. Its cord is long enough to allow you both comfort and flexibility during movement. 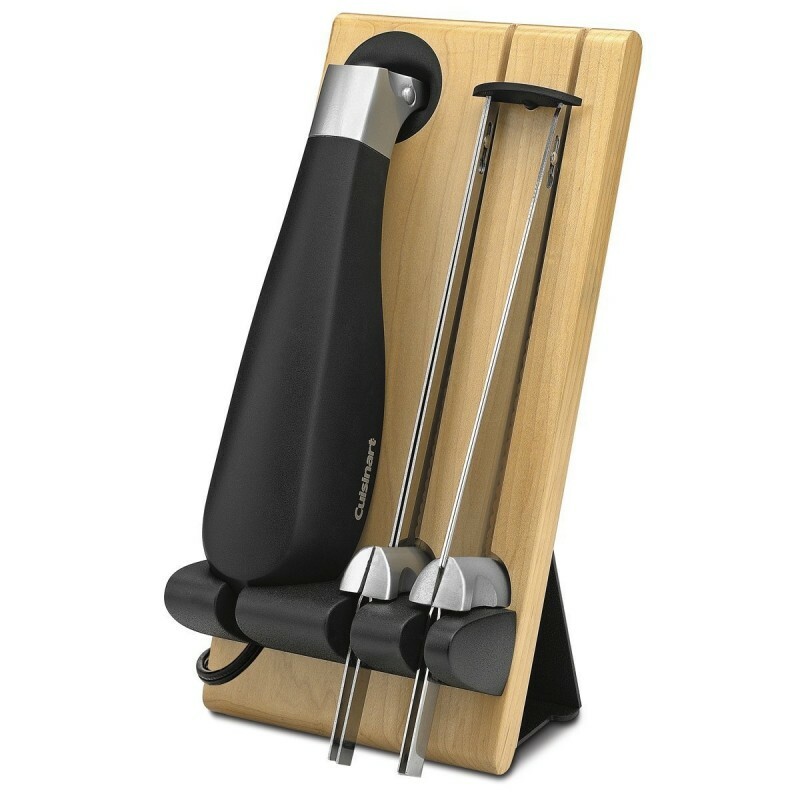 The blades are made of stainless steel and are detachable for easy cleaning. Its blades are serrated which makes sharpening them quite hard.